When it comes to flooring options, many people are turning to laminate floors. Laminate floors have many advantages that make them so popular for those who a considering replacing their home’s flooring. Laminate flooring is a synthetic flooring material made of particleboard wood and often simulates wood or stone, even though it can also come in its own style. Laminate flooring has a number of advantages that, if you are on the market for new flooring, you should take into consideration. Laminate flooring’s greatest advantage is that it is a cheaper alternative to other more expensive flooring types such as hardwood and tiles. Despite the fact that laminate is cheaper, it still looks as good (sometimes better) than its expensive counterparts. Another great advantage of laminate flooring is that it easier to install than other flooring types. This makes it a favorite for DIYers. Laminate flooring is one of the easiest types of flooring to clean and maintain. Not only is it easy to maintain, but most of the laminate floor cleaners are also relatively cheaper to purchase. And when it comes to cleaning floors of any kind, pet owners know that not every cleaner is friendly on their furry family members. So what is the best laminate floor cleaner that is suitable for your pets? Before we get to the cleaner itself, here are a few simple tips to help you keep your laminate floor in good condition for longer – especially if you have pets in the house. When it comes to keeping your laminate floor looking good, the best laminate floor cleaner is just but one part of the equation. The other critical part is your pet itself. The following tips will help you keep your floor looking good (and safe for your pet) for a long time. Even though laminate flooring has a protective scratch resistant layer, your pet’s uncut nails and floors can eventually cause damage to your flooring. Be in the habit of keeping them trimmed at all times. If your pet’s food and water bowls are placed on your laminate floor, spills can damage your floor. That is why you need to place a mat under the bowls to catch any spills. Most dust and dirt that enters the home is carried in by feet – and paws. Placing a doormat at all entrances reduces the amount of dirt that comes into your home through traffic. Get an area rug that you can place in a part of your home that can be your pet’s play area. This will reduce the impact that your pet will have on your floor, and reduce the instances of your pet licking the floor in an attempt to pick a toy. No matter how well trained your furry friend can be, accidental discharges are inevitable. Sometimes, they can even be caused by your pet not feeling well. In the eventuality of such occurrences, make sure to wipe up any such quickly. Now that we have put some measures in place to reduce damage to your floor, let’s get back to the piece of the puzzle we are more concerned about today – the best laminate floor cleaner for you and your pet. Let’s go shopping for the best 6, shall we? No one loves a dirt home. After all, dirt is unhealthy. But sometimes, in the fight to keep dust and dirt at bay, pet owners unwittingly do more damage than good – they put their pet’s health on the line. In order to make your home healthy for both humans and animals, you have to be selective of the cleaning agents you use as some of them can be corrosive and toxic. And with your pets being closer to the floor, they are at great risk of being affected. For this reason, we have compiled this list of 5 pet-safe laminate cleaners that shine as the best laminate cleaners on the market – especially for your four-legged friends. You’ve probably heard the phrase, “a little goes a long way”. 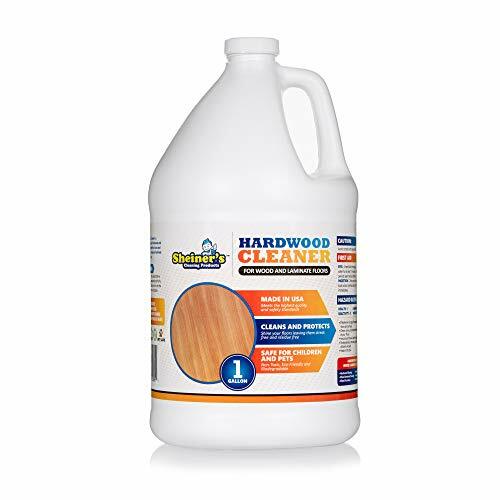 That’s one of the best ways to describe Black Diamond Wood and Laminate Cleaner. This is a very powerful cleaner that is also very sensitive to your pets. Black Diamond’s formula includes their revolutionary additive, PS3 (a triple-action poly shield), that provides a streak-free clean and acts as a protective layer that prevents soil from attaching to your laminate floor.Unlike other corrosive floor cleaners, Black Diamond does not remove the finish from your flooring surface. This is an easy to use laminate cleaner as all you have to do is spray it on the floor surface and wipe away. There’s no need to rinse as it is water based and non-toxic the perfect combination that makes it one of the best laminate floor cleaners – pets or no pets. As for price, you can get a 32oz bottle for a mere $. Another cleaner that deserves to be on the best laminate floor cleaner list is Sheiner’s hardwood floor cleaner. This floor cleaner not only cleans, but it also polishes and protects your floor by providing a protective barrier on your floor’s surface.Sheiner’s is also easy to use as it does not need any rinsing after application. Because Sheiner’s is biodegradable, non-toxic, and eco-friendly, you can use it safely without worrying about it leaving a footprint on the environment. And most importantly, it is safe to use around your house if you have children and pets. Sheiner’s is another affordable pet-friendly floor cleaner that you should consider if you have pets in your house. A gallon will only cost you $. If there’s one floor cleaner you should trust with your pets, it’s Bona. Bona floor cleaner has been around since 1919, making it nearly a hundred years old. The Bona Stone Tile and Laminate Cleaner is a versatile floor cleaner that is capable of cleaning multiple floor surface types. To clean your laminate floor, you can pour Bona cleaner into a bucket and use it to mop your floor. You don’t have to add water for this. Similarly, you can pour it in a spray bottle if you want to target specific spots on the floor. This easy to use floor cleaner is also very safe to use if you have children and pets around. 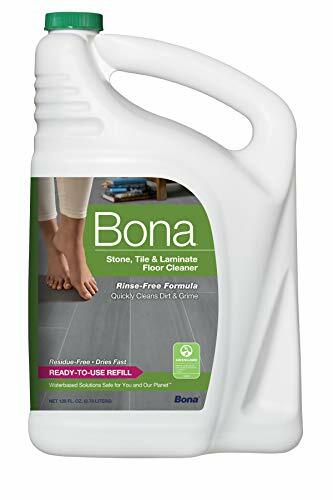 The only downside to Bona cleaner is that it is a bit on the expensive side as a gallon will cost you $. But if you go by the reviews, this is probably the best floor cleaner for you if you have pets and kids. 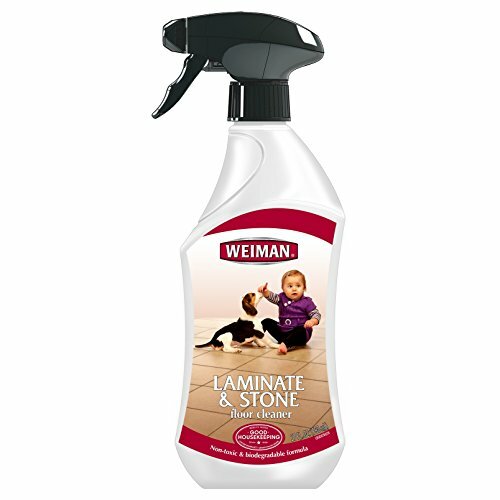 Weiman Laminate & Stone Floor Cleaner is a fast drying, streak-free floor cleaner that will do wonders in your home as it restores the shine to old floors. For spot cleaning, you can use a micro-fiber cloth to clean a targeted area while for general floor cleaning you can simply spray it on your floor and use your mop to give your floor a brilliant shine. 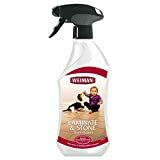 This pet-friendly laminate floor cleaner comes in a 27fl.oz spray bottle that will cost you $. Trust me, when you give this floor cleaner a try, you’ll definitely count it as one of the best laminate floor cleaners you have ever used. 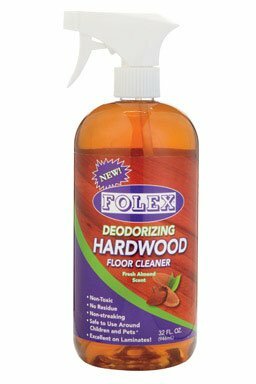 If you want a floor cleaner that not only leaves a sparkle on your floor but also combats odors then Folex Deodorizing Hardwood Floor Cleaner is exactly what you are looking for. 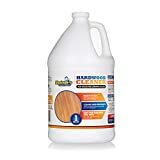 This scented floor cleaner will do wonders on your laminate floor and will give your home a fresh floral scent that lasts longer than most cleaning agents. For urine spills, dog drool, and any other smell inducing spills and discharges, you can trust Folex to save the day, and your floor with its advanced pet-friendly formula. If you are looking for the best organic laminate floor cleaner, nothing can beat Better Life. This “green” floor cleaner was even featured on “Shark Tank” immediately boosting its sales. And those who tried it out have no regrets either as it delivers on what it promises – a better life for you and your pet. Because it is organic, this floor cleaner contains no toxins, is bio-degradable, and is safe on the environment. 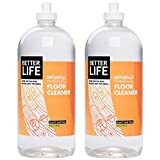 This is also a very good floor cleaner for people with allergens or those who are sensitive to chemicals (if you find yourself getting headaches after cleaning) as it is a very gentle laminate floor cleaner. The only downside to this awesome cleaning product is its price tag - $ for 2 32oz bottles. But considering the value of your kids and pets, it is a reasonably priced floor cleaner. In fact, it’s probably the best laminate floor cleaner you can use around kids and pets. When it comes to keeping your family (including your pets healthy), cleanliness is always the first step. That is why you need to pay special attention to the cleaning agents you use in your home, especially where kids and pets are concerned. And you have to be prepared to pay a little extra for that extra protection. Depending on what you are looking for in a pet safe floor cleaner, I know you will find the best laminate floor cleaner that’s suitable for your family on this list. Here’s to a clean floor – and healthy pets.